As Brazil prepares to vote in their Presidential Election run off and with all polls suggesting ultra-right Jair Bolsonaro is set to defeat the Workers Party (PT) candidate Fernando Haddad, we talk to Conor Foley in Brazil. Conor is a university professor who has lived in Brazil for 15 years. In a wide ranging interview Jim Slaven and Conor discuss the causes of the crisis and Conor explains the political and economic processes at play that have enabled someone as unpleasant as Bolsonaro to be on the brink of the Presidency. They also explore the role of race, class, evangelical Christians and security in the crisis as well as the likely consequences for the environment, LGBT communities and women’s rights in the event of a Bolsonaro Presidency. 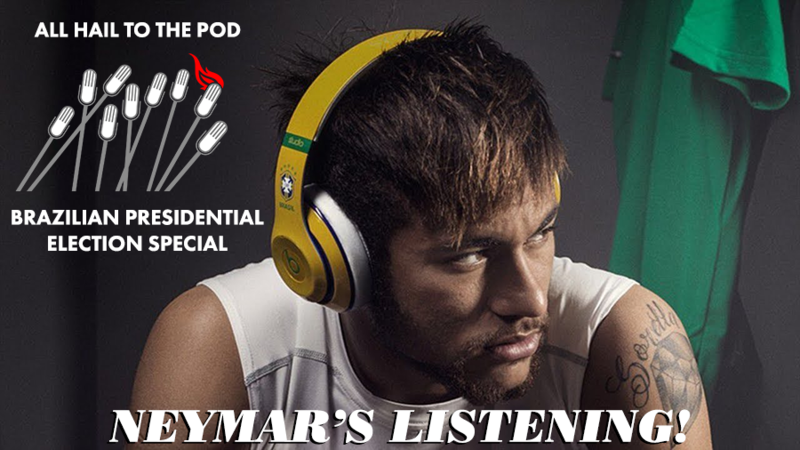 For more information and links visit All Hail To The Pod. Previous Pod: Sunshine On Leith?